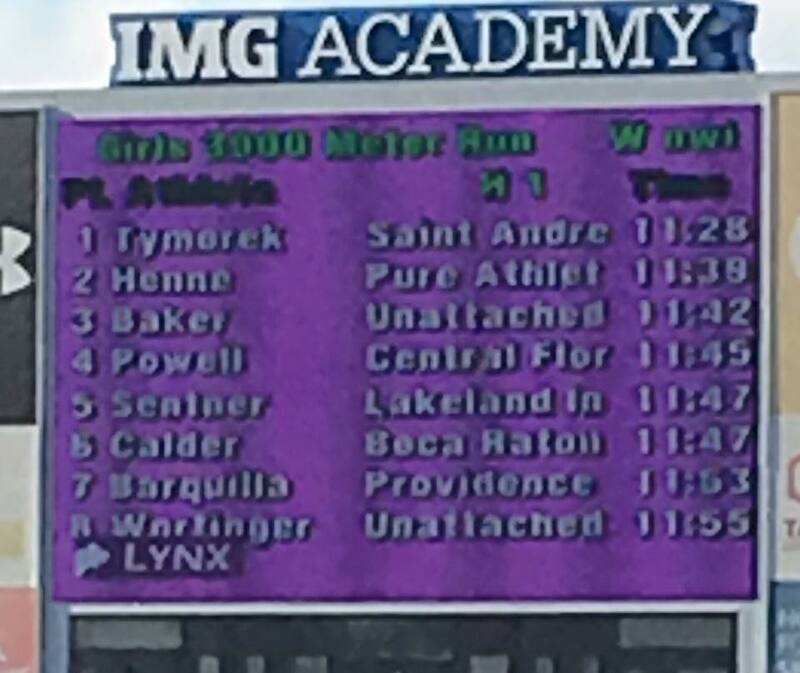 is not a typical track story, this is her first year to ever run track and has only been doing so for 5 months! She has her own fan club in her younger sisters that support her all the way! 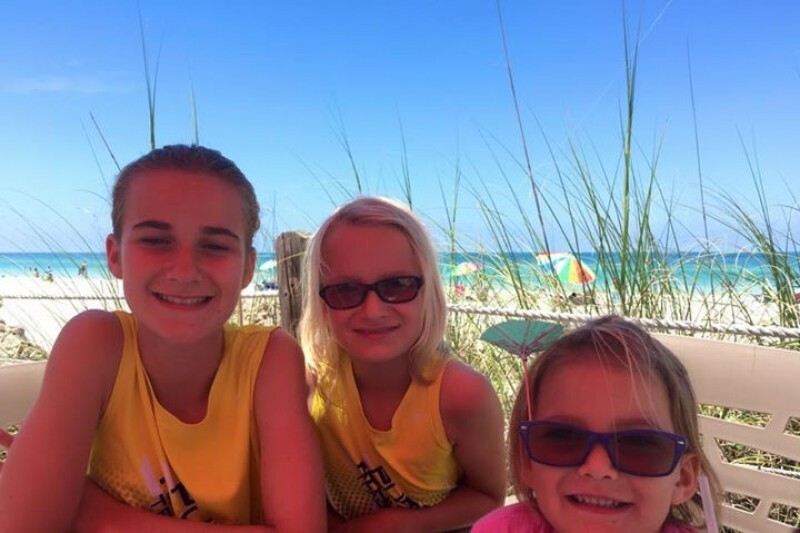 In March of 2016 our oldest daughter Lily, who is super active in soccer among other activities, asked us if she could run with her middle school track team as a sixth grader. My husband and I rolled our eyes, as the thought of one more after school activity for parents with three children is sometimes overwhelming! Lily insisted and we caved. My first thought was, "Maybe after she loses a couple races she may decide that tracks not her "thing"." 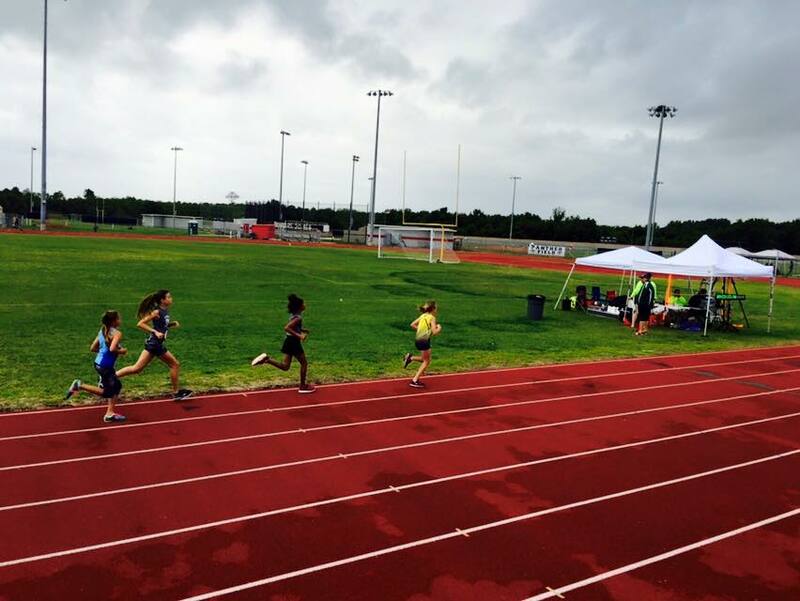 But the very first race she ran, with no training was the mile and is was a sub 6 minute pace. We knew then she would be hooked! It was great, like discovering a hidden talent and watching her develop that talent with a dedication that I do not possess at 42 years old and she was killing it at 11 years old! 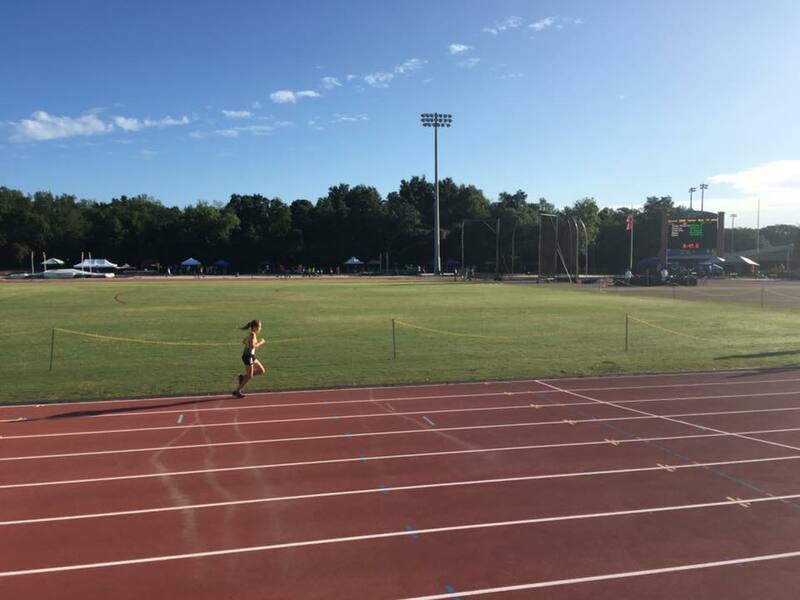 New to track, we did not fathom that Lily would even be on the radar to qualify for the Junior Olympics this year in Houston. 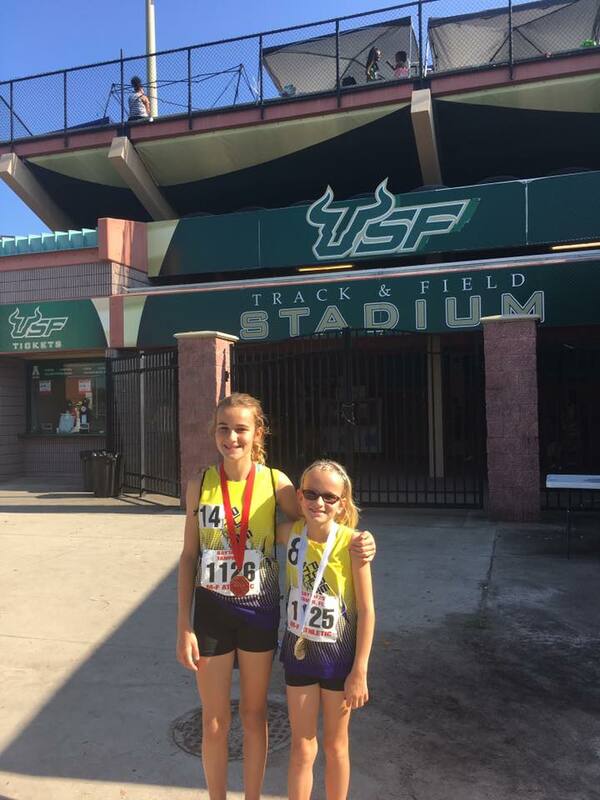 But, Lily ran the 3000m and 1500m in an AAU Regional meet the last week in June to qualify for this honor. This has more than changed our summer plans, it has shocked them a little. Besides being a pretty good athlete with soccer and track, Lily is an accomplished student. She was nominated this summer for the National Junior Leadership Conference in Washington D.C., which will take place third week of July. Lily is a straight A student and also was nominated into the National Junior Honor Society this last academic year. Lily is dedicated and has a laser sharp focus on any activity she participates. This trip to Washington D.C. was a very costly trip that we funded personally costing thousands of dollars between airfare, hotel and program expenses. Any money raised will be used to help fund the expenses for Lily on her road to Houston. We have calculated between travel, food and lodging alone just for Lily it will be very expensive. Lily has 2 races she has qualified for in Houston, and these two races and will require her to be in Houston for at least 5 days. Lily's road to Houston officially starts the first week of August and any little bit of money donated would be greatly appreciated! Lily has already started talking about the 2020 Olympics, as she has figured out that you have to be 15 by the end of 2020 for her to qualify, which she will be! enjoys destroying her parents in a mile race beating us with many minutes to spare. She would love to be able to come back from the Junior Olympics with a win and would be so appreciative of even the smallest donation! Thank you! Had to go looking for the link! Good luck, Lily!